Submitted by Grymlorde on 2018-03-23 15:16. Looking for a Lovecraftian Horror soundtrack? Well look no further than the music from the original Quake game. Quake?!? you say? That adrenaline-pumping class first-person shooter?!? Yes, that's right. When id Software asked Trent Reznor of Nine Inch Nails (NIN) to create a soundtrack, they told him about the heavy Lovecraft influence that Sandy Petersen (yes, THAT Sandy Petersen) infused into the game. Dutifully inspired, Trent created a haunting soundtrack guaranteed to send chills up your spine! However, John Romero's original vision of a fantasy game ended up as the heart-pumping nailgun and grenade-launching shooter that didn't match the final soundtrack. Consequently, id Software and many fans were disappointed with Trent's work and ended using their favorite heavy metal albums as soundtracks instead. But for Neverwinter Nights? A very nice set of 10 tracks for setting the right mood when delving a dungeon or discovering a secret man-was-not-meant-to-know. Nice set of tracks. I'm listening to these tracks while building in the toolset right now. Definitely got me in the mood for creating things to kill and treasures, like these track, to find. Only one question. What happened with Track #1? It seems missing or intentional left out? Thanks for sharing these. 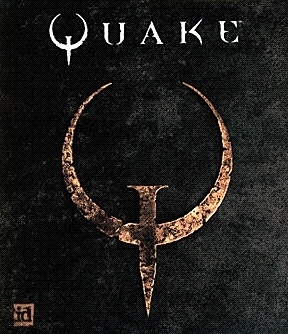 @Dragooneer - The first edition of the Quake game on CD (from which this music was ripped) uses Track 1 for the game itself. Which is a bit weird since it isn't music but that's how id Software did it. Anyhow, the idea was that you have this disk in the drive while you played Quake and each level had configurable flag or field noting which track to use. At the time most users were disappointed with the music since it didn't fit the adrenaline rush of gameplay and played using their favorite hard rock or heavy metal CD instead. When creating new levels, you could specify whichever track you wished, but you had no control over which CD the player would use. So what a lot of us used to do was to mention in the ReadMe which music CD the level was designed for. For example I did a loose conversion of the Judge's Guild adventure, Temple of Ra Accursed by Set set to the music of the Hellraiser II sountrack. Whereas another adventure used Dehumanizer by Black Sabbath. Since Neverwinter Nights is a game of exploration as well as combat, I think that this underated soundtrack by Trent Reznor has finally found a good home. Glad you're getting inspired by it!